Are you a creative spirit who responds to visual cues but finds it hard to get motivated to stay organized? Then you might have what professional organizer Audrey Thomas calls an artist’s personality. Traditional clutter-cutting solutions might not work for you if out of sight means out of mind. Instead break down tasks into achievable 30-minute projects, use attractive out-in-the-open filing systems, and employ easy-to-maintain solutions for cabinets, drawers, and closets. Browse these ideas for ways to use your creativity successfully in the organization arena. Line the bottom of mudroom cubbies or an entry closet with rimmed baking sheets. Leave wet and muddy shoes on the trays to dry; then simply pop the sheets into the dishwasher to clean. The best way to avoid losing mail is to designate a single spot as a mail catchall, but no one said you had to use an ordinary tray. Serve up a whimsical and elegant in-box by topping a ceramic platter with a silver food dome. The dome acts as a paperweight, keeping a lid on papers until you’re ready to look at them. Need a place to hang your keys? Press vintage drawer pulls into service as hooks. Tuck decorative baskets or bags under a console table to fashion neat, easy-to-access storage for throw blankets and magazines. Use the baskets as a measured reminder for reading materials — as soon as the basket is full, it’s time to edit and create room for incoming issues. Make room for a computer station in your family’s main gathering area with an office armoire. The piece is ideal for storing computer manuals and reference books, and all the clutter disappears when the doors are closed. Line the inside of the doors with favorite photos so when the unit is open for business, you’re still putting on a show. If you struggle to find a tidy home for sewing essentials, consider adding a stock kitchen cabinet with rolling shelves to a home office. Paint a piece of pegboard the same color as the wall and suspend it above the cabinet to hold thread and other crafting odds and ends. When all of the pieces you need for a crafts project are located in one place, organization experts agree you’re more likely start a project as well as complete it. For a quick kitchen update, remove cabinet doors from a few upper cabinets. The change will give the room a new look and out-in-the-open dish storage encourages tidy habits and lets you turn everyday goods into decorative focal points. Line the backs of cabinets with beaded board or sheets of foam core covered with pretty papers. Designate 30 minutes to organize the jumbled mess of dish cleaning supplies under the sink. Outfit the space with a two-tier wire rollout rack. Give your back a break by storing small items, such as sponges and scrubbing brushes, on the top level and tall items, such as dish soap and hand soap, on the bottom. For a done-in-an-evening message center, hang a bulletin board above a desk and use it to post upcoming events and important phone numbers. Flex your creative muscle and create your own board by piecing together a series of squares. Pair fabric-covered cork tiles with painted pegboard tiles, adding a dry-erase tile and chalkboard-painted tile to the mix if desired. Suspend containers from the pegboard to keep office supplies within arm’s reach. Need an easy system for organizing mail and paper work? Create a swift filing center that’s as easy to maintain as it is to create. Start with a dish drainer and outfit the slots with pretty file folders. Use the utensil holders to house pens and other organization supplies. A clearly labeled, out-in-the-open filing system like this one is a simple way to keep track of daily incoming papers. You don’t even have to open a drawer or a lid — just tuck in the papers. And the portability of the center makes it easy to take the system to where you are — be it at the kitchen table or on the couch in front of the TV. To fashion a headboard, focal point, and display unit all in one, position a series of bookcases behind a bed. Fill in the shelves with treasured collectibles, books, and family photos. Use one of the shelves to hold traditional bedside table fare, such as an alarm clock and reading lamp. To prevent the bookcases from tipping, secure each unit to the wall with straps. Power through organizing your bookcases and make room for more than just books in a few easy steps. Too many books crammed onto shelves read as clutter, but the addition of a few decorative objects can turn an eyesore into a visual treat. Start by assessing your book collection — decide what to keep, donate, or store elsewhere. Once your book collection is cleaned up, gather a few color-coordinated boxes to use as book ends. These fashionable additions will break up the density of spines and can store letters, photos, and other loose memorabilia inside. For a final step of pizzazz, give small decorative objects and photo frames a boost by slipping horizontally stacked books underneath. Streamline the appearance of a clothing closet while improving storage capacity and functionality by trading in mismatched hangers for a matched set. Then take a tip from the organization pros and tie a ribbon around each hanger. When you pull out a garment to wear, remove the ribbon. After six months, donate any clothes still on hangers with ribbons. Closets can be daunting, so break the project into sections. Designate a half an hour every evening for a week to go through a specific type of clothing items — shirts on Monday, skirts and pants on Tuesday, etc. Store jewelry out in the open so you’ll be inspired to wear it. Try gathering bracelets, necklaces, and earrings on a tiered stand or a jewelry tree. Hang a mirror near your jewelry stash to make picking the right accessory transparent. 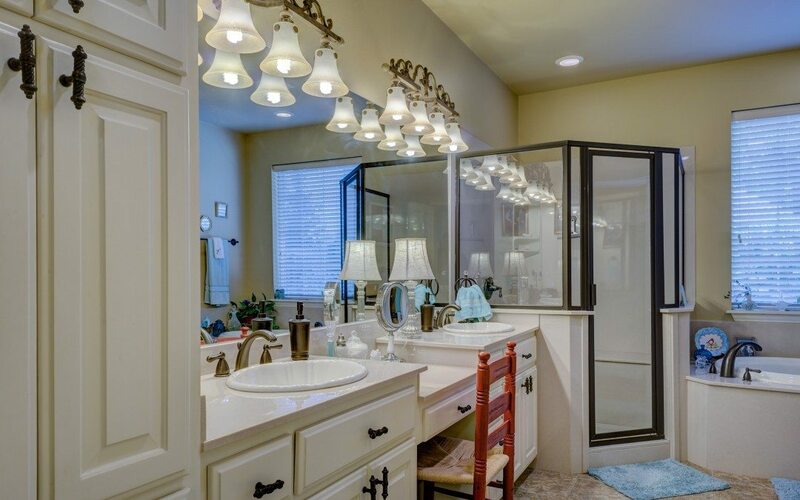 No handy place to hang a towel bar within reach of the shower? Solve the problem with a quick addition to the bathroom. Take a page from a closetless entry and introduce a coat tree to the bath. It’s just the right height for grabbing towels from the shower and it can support a whole family’s worth of terry cloth. Add a spa-like quality to a bath by reorganizing your towel collection. Scout out your bathroom for underused space and designate that spot for an open shelving unit where you can stack fluffy, white towels. Stacked on shelves or tucked into baskets, these traditional space hogs inside closets and cabinets are naturals at exuding serenity. Set out a few fancy soaps as complementary decor and pour bubble bath into a decanter to amplify the relaxed mood. Before shopping for your shelving unit, measure the area you have marked out for it and take a tape measure with you to ensure you’ll get a set of shelves that will fit the space. Make short work of cleaning by storing items in easy-to-transport caddies in a central location. To avoid sticky puddles of detergent or drips of bleach on shelves, place bottles in inexpensive plastic baskets or on top of plastic plant trays. Use a pegboard system to hold sewing-repair gear as well as ironing essentials. Take advantage of an 8-foot stretch of garage wall to tidy up loose odds-and-ends floating around. Employ a metal shelving unit to keep bulk storage supplies within view — and easy reach. Sort items by categories, placing the heaviest gear on the bottom. Stack car-care items on a rolling cart you can push right to your vehicle. Hang mops and brooms on hooks high on the wall and install a small cabinet to serve as a recycling holding zone for items you can’t dispose of with regular curbside pickup, such as batteries.